Another, maybe even more accurate, title for this post could be "your-skin-but-better powders". Because the powders listed below are not only sheer but do blurring and smoothing as well. Most of my makeup-wearing life I avoided powders because I have really dry skin, but with the technology of powders today I no longer need to fear them. And another way to keep a natural look to your powder is be sure to use a light hand and to finalize the makeup routine with a hydrating or luminizing setting spray like M.A.C. Prep + Prime Fix + or Skindinavia The Makeup Finishing Spray - Bridal. You can also only powder areas of your face that really need it, like an oilier T zone. Below I've listed, in order of preference from best to least, a few fantastic setting powders that anyone would love. All of them are terrific: some are just pricier than others, some are in a compact while other are loose, and some are translucent (clear) while others are not. So it's really a matter of personal preference. By Terry Hyaluronic Hydra-Powder is a miracle-worker. Everyone who has splurged on this luxury item has done nothing but rave about it. The secret is the minute particles of hyarulonic acid it contains, that draw moisture from the air and bind it to the skin. This makes it fabulous for setting under eye makeup because it plumps out any undereye creases. 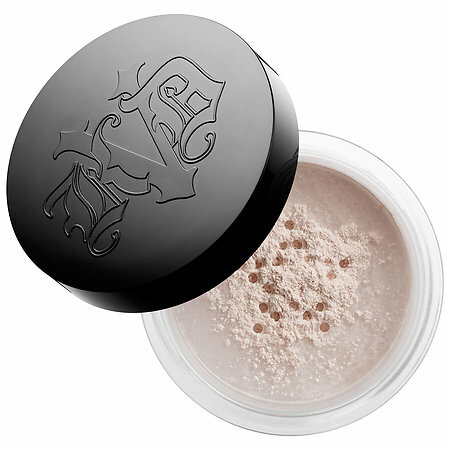 It is a super fine, light-as-air, white setting powder that gives an invisible but utterly flawless finish. And actually it is a bit brightening too. If you have dry or more mature skin, this is the best powder for you. Charlotte Tilbury Airbrush Flawless Finish Skin Perfecting Micro Powder will give you princess skin no matter how old you are. 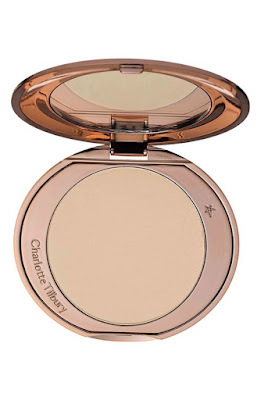 It is a pressed powder in a compact, that comes in three shades: Fair, Medium, and Dark. While the coverage is fairly sheer, it is not completely translucent so it's best to pick a shade that roughly suits your skin tone. The nano-particles diffuse light which looks specatular, and the almond oil in it hydrates the skin. It wears well without ever settling into fine lines. I could powder myself all day long with this and be happy as an airbrushed clam. 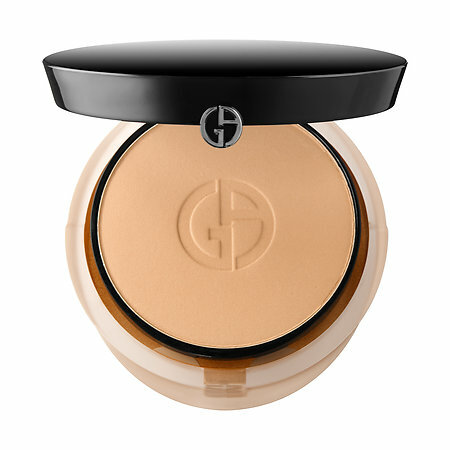 Giorgio Armani Luminous Silk Powder Foundation is not a heavy powder despite being labeled a "foundation". Many people use this pressed powder as their setting powder because it is so light weight (although it does show up on the skin). In fact the name "Silk" describes it perfectly: this powder is truly silky, just pure silkiness. It is a bit hydrating and gives a radiant finish that comes in eight colors, and yes, if you do layer it up it will act as a medium coverage foundation. But whether you choose to use this sensual powder as a setting powder or as a foundation, it is an award winning product. 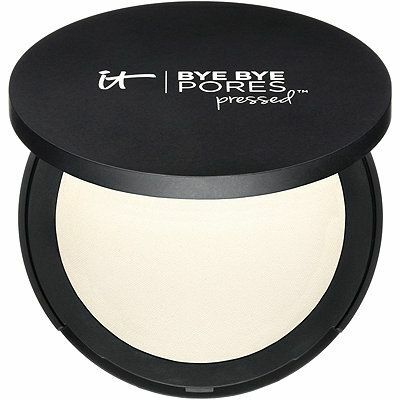 It Cosmetics Bye Bye Pores Pressed Anti-Aging Finishing Powder is a translucent powder that is very forgiving. Like the Charlotte Tilbury one, "air-brushed" is the perfect way to describe it (if you are exceedingly dry I might pick the Tilbury one over this). However Bye Bye is way less expensive than any of the others so far. This powder has a die-hard following, you wouldn't be able to get its fans to try anything else. There is a loose powder version of this but because that tends to be messy I think most people prefer the convenience of this pressed one. Another very similar product, which I have not reviewed, is the Too Faced Primed And Poreless Pressed Powder $30 so you could check that out as well. Kat Von D Lock-It Setting Powder is a loose translucent powder that gives a matte finish with a subtle glow: a lit-from-within look. Good for any skin type, it has it's own unique blurring technology just like all the others have theirs. What you get here though, is a lot of product for not a lot of money - it is definitely a savvy-shopper's friend. Also, like all of Kat Von D's products it is vegan and cruelty-free! I am such a fan, I've raved more about it in my August beauty favorites post. 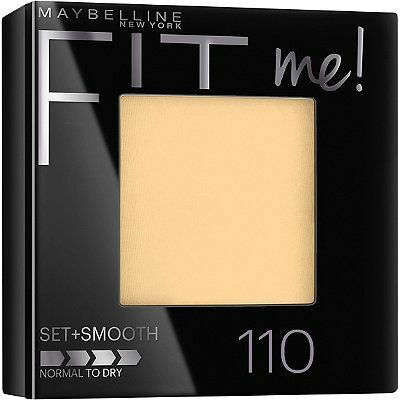 Maybelline Fit Me pressed powder comes in two formulas: Set + Smooth, and Matte + Poreless. Even though these are at the bottom of my list they are still excellent. While not as finely made as their more expensive counterparts, they definitely qualify for this "your skin but better" article. 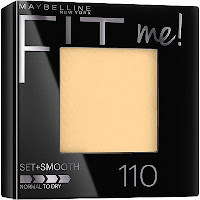 As a matter of fact when I first tried the Fit Me powder it didn't even look like it was going on my skin, it wasn't until I had layered on way too much that I realized that it had been in fact giving me coverage - just very sheer coverage. The Matte + Poreless is designed for normal to oily skin (with shine control properties) and comes in translucent, or if you want your powder to show there are 11 other shades. The Set + Smooth does not come in translucent and is only available in 8 shades. Also it can be a little harder to find so I would just go for the translucent in the Matte + Poreless if you're in a bind. Both are oil-free, allergy tested, and smoothing. Of course I've heard rumors of other non-powdery-looking powders - which one do you like?